I have a couple of cards to share with you tonight that I created this evening with this week's Stampin' Sisters in Christ challenge. Layers of Color is sponsoring this week's challenge which is to Create a card or project that depicts the sharp contrast of black & white or ivory. I had some time tonight to spend in my stamping studio and because the challenge is such an easy one - no coloring allowed since it's black & white/ivory, I was able to whip up these two cards in no time flat! 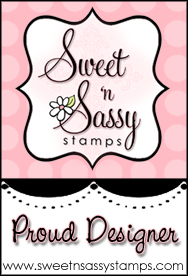 I'd encourage you to check out the link to the Stampin' Sister's site and play along with these talented designers as there is a fabulous LOC stamp set up for grabs for one participant! OMGoodness Jessica both these cards are sooooo pretty and elegant! I love the lace and layout of the first and the main image of the second is gorgeous!!! Thanks so much for your support of SSIC! OH My...Both of these are just elegant! Thank you for joining us at Stampin Sisters In Christ.